This one is a thought provoker, so hopefully we will be able to have a good discussion accordingly. If you're unfamiliar with Malcolm Gladwell, he's a popular British-born sociologist/author with Jamaican roots. He writes regularly for The New Yorker and has published two other books prior to Outliers: The Tipping Point and Blink. 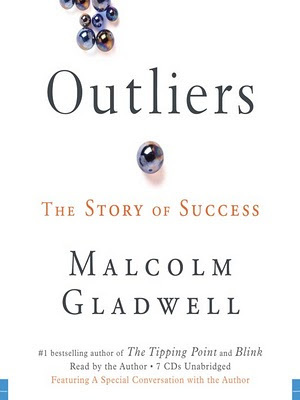 Outliers takes a look at how people really become successful in our society, and challenges our preconceived notions that those of us who have become successful were somehow "lucky" or "worked harder" than everybody else. Gladwell analyzes cases that answer questions ranging from why Asians are good at math, to why Jews are successful at Law, to how geography effects behavior and even the age-old question of why some cultures excel at school and why others do not. At the time of this post, used copies are available for about $11 bucks HERE. Join us in our discussion of The Urban Politico's Book of the Month.